What an interesting set this is. They put together a series of intimate shows with some outstanding modern bands and filmed them. The result are the performances found in this DVD. While some might be more of interest to a particular viewer than others, they are all intriguing and potent. There’s a sort of “fly on the wall” feeling to this and the video and audio quality are both quite good. For my money the performances by Radiohead, The White Stripes and Sonic Youth are the ones that steal the show, but I wouldn’t skip any of them. I like this set a lot. 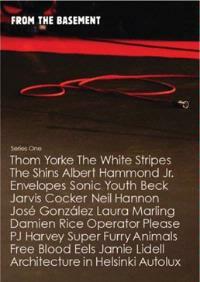 The other acts featured are Beck, Jamie Lidell, The Shirts, Jarvis Cocker, Neil Hannon, Laura Marling, Eels, Albert Hammond Jr., PJ Harvey, Super Furry Animals, Damien Rice, Autolux, Jose Gonzalez and Thom Yorke.